Exciting things coming up for Our Daily Bread designs' 1st anniversary! It's hard to believe it's been a year since Kelley contacted me and asked if I'd be interested in working with her new company. It has been a real blessing to work with new images each month, to have a part in creating new sets and seeing my stamp designs become a blessing to others, and to work with such an amazing design team - not only is this team full of talent, but full of compassion and life as well. Happy Birthday ODBD!!!!! Well, this week each team member is featuring one of the sets that has been released over the last year...and some of us even get to give a set away! Guess what?!! You can win the set I used on the cards below - Fruit of the Spirit! All you have to do is leave a comment on this post - I'll make it easy on you. ;) I'll draw a winner March 18th at midnight EST. Good luck! Here's a card I made just for the occasion...using the Fruit set and several products available from ODBD - be sure to check out their 'accessories' section, because it's really growing! Did you know that you can now purchase Shimmerz, Prismatics cardstock, flat-back pearls, Basic Grey paper pads, Glimmer Mist, Ornare templates, Distress pads/reinkers...........I could keep going! I used some metallic cardstock, scored with my Scor-Pal (you can get that there too...!) for the background panels. The main panel is watercolored with reinkers and watercolor pencils. You can mix Shimmerz with reinkers when you paint, for some major sparkle - a little bit goes a really long way! Here are some other cards I've made over the last year with the Fruit of the Spirit set - you can click on each one for more info. Be sure to check out Betty's blog, Stamping to the Wright, too - she's showing off this set today as well! But don't forget to come back and enter the drawing! Beautiful pieces you've created over this last year (today too :D)with this lovely Fruit of the Spirit set. The fruit of your spirit shines through in every one! Thanks for sharing your lively spirit and love of the Lord and stamping with all of us that check into the blogosphere from time to time. Thanks too for sharing such inspirational blog candy. Feel better soon. What lovely cards you've created with this set. It would be fun to be the new owner. Thanks for a chance at it. Blessings for a beautiful weekend. So beautiful. I love the warmth of this card - your coloring is perfect - and the stamp set: gorgeous. Would love to own this one. Wow! Your cards are beautitul!! The coloring is so nice! This is one of my favorite ODBD sets--even for Thanksgiving. Thanks for being part of this! Thanks for letting us get a chance to win the set too! What a pretty stamp set! Your card is so rich looking. It's nice to have a chance to win such a wonderful set. I love your cards. Of course, I love the set as well. Beautiful stamps,beautiful colouring!Don't know if I could do such justice to the stamps as you do but I would really like to try!Thanks for a great blog.As I am in Europe yours is the first blog I read every day due to the time difference! I love your work. It is an inspiration to see you put your God-given gifts to use in such a beautiful way. DINA YOU ARE A BLESSING! OH WOW! This is just absolutely breathtaking, Dina! NOBODY watercolors like you, girl!!! LOVE it! Beautiful!!!! This set is a blessing to touch others! What truth in the Words! You do beautiful work. It's great seeing someone, such as you, use your God given talents for Him. This is one of my favorite sets. What a beautiful card! I love the colors and shading! What beautiful cards. I just love how the stamps take the scriptures and bring them to life with such beautiful stamps. Beautiful cards you have made, Dina. Love them all so very pretty. Love the stamp set you used too. Thanks for a chance to win it in your blog candy drawing. Phyllis M.
Holly really likes your cards...LOL!! And I do too! This newest one is so beautiful! The ribbon has a really cool look! The only problem is I can't click on it and enlarge it too see it even bigger and better. Oh well. I love the richness of the colors. WOW!!! What a marvelous card. It looks like a piece of art. beautiful card. I love the colors. gorgeous! Thanks for sharing this and all the other ideas for this stamp set. WoW all the cards are just amazing! Your coloring is just amazing and love all the details you added. Thanks so for a chance at this fabulous set. That would be a great set to win...your cards are awesome, too! Thanks for the giveaway. Beautiful card! It would be fantastic to win this set. Dina these are all wonderful! I like the rich colors you used in a lot of them! Fantastic job. This is one set I need to get, but just haven't! Your card are so lovely and have given me so many neat ideas! Wow! All of your cards are awesome!! I really like the last one- yourcoloring is fabulous! These cars are all amazing...and such a great variety too! Thanks for sharing!! Oh Dina - all of the cards you have made with this set are drop dead gorgeous!!! I need to go check out everything new at ODBD since I last visited...(thanks, enabler! LOL!) Thanks for the chance to win!!! Hello again, Dina! You are amazing! Your creative ideas know no boundaries. You are gifted. Wow, gorgeous cards and I just love that set :)! Thank you so much for this chance to win it :)! Beautiful cards! I love this stamp set. Thanks for the chance to win. The cards are lovely and the painting is outstanding. Thanks for a the oppoetunity to win the Fruit of the Spirit stamp set and posting your work for our edification and enjoyment! Wow Dina!!! Awesome card!! Love your watercoloring and layout. You are the bomb when it comes to watercoloring my friend!!! Great Post! Your creations are just gorgeous and very soothing with the verses on them. I hope I win :). I love this set and your cards are lovely - thanks for the opportunity to win it! Your cards are so lovely! As I am experimenting with various watercolor techniques right now, this set would be perfect! Your cards are very nice. There is a lot of detail in that stamp. Oh my! You have out done yourself on this one! I love the rich earthy tones, the torn vellum with the sentiment. Gorgeous! All the other ones are amazing too, it's just that this one really, really captivates me! Awesome cards! This stamp set is so versatile. I this it would make an amazing cover for a recipe book. Your work is inspiring. Thanks for sharing. I really like what you've done with this set! The card is so elegant! I just love those colors! You are such a talented person and such an inspiration ... keep it up! Oh,what beautiful cards! I think you Breadbasket girls are amazing. I don't have any ODB stamps yet and would love to win this set to try them out. Thanks for the chance to win. Beautiful cards. This is one of my favorite sets. I am saving to get it. Beautiful cards as usual Dina. Thanks for reminding us about the accessories that ODBD also sells. I usually just think of the wonderful stamp sets. Beautiful Cards - Beautiful Stamps - I would hope I could do them justice. I think this would be another set that could be used for MANY occasions. Thanks for a chance to win!!!!!! Stunning cards...just lovely to look at! These cards are beautiful and so is the stamp set. Thanks for sharing the info about mixing shimmerz with reinkers - I would not have thought of doing that. I love shimmer! Dina, all of these are incredible! The one on the bottom I remember from SCS....it was one of the first ODBD cards that caught my attention! You do such beautiful work!!! God Bless! Love the set, and all your ideas - I also want to make a point to mention how much I love the font used in this set - sometimes that makes all the difference! Your cards a beautiful. I especially love the rich colors you used in designing the cards. Beautiful, deep colors on your cards. Thank you for sharing. Would love to have this set. It's really fun to see the variety in the different cards, all from the same set. I love ODBD stamps. It's so awesome to be able to use my love of crafting to show my love of my Lord. All of these are gorgeous but the newest one is BRILLIANT!! Beautiful work using beautiful stamps. Thanks for the oportunity to win some candy, as with the exchange rate and postage these are waaaay out of my budget!! I really liked your cards, especially how you used your Scor-Pal for the side panel on the first card. I have a Scor-Pal; now I just need to use it for more than foldung my cards in half! This is a set that is on my list. Thanks for the opportunity to possibly win it. Your cards are beautiful, you are very talented. Thanks for a chance at this great stamp set. What a beautiful set! I've been admiring it since it came out but just haven't gotten it yet! You did a fabulous job on your card! I love this card. I always like to see a new use for the Scor-Pal. This is a beautiful set as well. Beautiful set and beautiful card. I so would love to win this. Hey Dina! Great cards. You make it look so easy!! :-) You have such a talent with colouring. Thanks for the chance to enter. WOW!!! What a beauty Dina! Love the richness and depth of your coloring, the beautiful ribbon, and the torn vellum! Oh, I'd love to win this wonderful set! I love the verse on your beautiful card! I hope that you're feeling much better! Beautiful! That card is stunning!!! What beautiful cards with this set. This set could be used in so many ways. Would love to win. These cards are so beautiful. I love the way you did the ribbon on the featured card. Thanks for a chance to win this set. Beautiful card and set! Love the metalic paper youused, too and thanks for the tip on mixing the Shimmerez and reinkers! What a gift!! Your cards are beautiful and it is so good to see cards with such a clear Christian message. I love to make these cards and use the computer to add the scripture or sentiment - or RAKS from generous SCS friends - it would be such a blessing to win this set!! Thank you so much for the opportunity....I am new to ODBD but will be a regular after seeing your blog - keep that 'light shining', you and your cards are inspirational...isn't it great to be able to combine 2 passions, our love for HIM and for paper!!! God bless you Dina! LOVE your cards - great set! Thanks for the opportunity and the inspiration! Awesome, awesome... I love how you use this set. I love that fruit basket! I'll bet it's fun to color. Thank you for giving us the chance to win it! I would just love to win this set. I just downloaded the embroidery patterns, for the fruits of the spirit, for my machine to make a set of tea towels and chef's apron as a shower gift. This would be the perfect enhancement. Beautiful work. Thanks for the chance to win. the fruit of the spirit images ar beautiful. thanks for a chance to win this set. they would be perfect to use for our church's card ministry! Beautiful cards. Thanks for sharing and for the blog candy opportunity. These are absolutley beautiful cards! 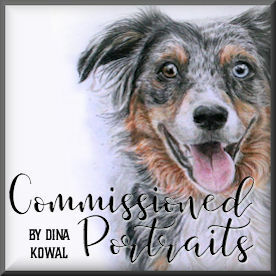 Dina, it's always so fun to visit your blog and see the new creations that you've posted. Even the old ones! I love them all. 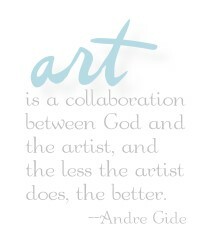 You have such a gift from God and I'm so thankful that you use it so creatively to share with others. Thank you so much for sharing! And, thanks for the chance to win this set. Love your blog. This set is great I can see so many uses for it. Thanks for the chance to get it a blog candy. Wow, I Love it!!! Thanks for a chance to win it! What a beautiful set! There are so many great possibilities. I would love to win this. Thank you for providing the opportunity. Your work is stunning!!! I'm definitely gonna have to browse your blog some more!!! Thanks for the chance to win! I love your Fruit of the Spirit cards and the stamp set. Thank you for letting me play. God bless! Wow! Dina these cards are amazing! Just beautiful! Beautiful, beautiful cards. Congrats and thanks for the chance to win this set. I love it! I absolutely adore this stamp set and I would love to win it. Your card is so beautiful. Maybe someday you can show us how you did the background around the fruit. It is so perfect! I would love to win this set, because I love anything connected to the "Fruit of the Spirit." It is beautiful, and the samples are stunning! Congrats on your first year anniversary! Your stamp sets and cards that you have designed are absolutely gorgeous. You are such a talented person and give so much inspiration to others. Your work is truly a blessing. Thank you for offering a chance to win a beautiful stamp set. I love today's card with this set - the Scor-Pal texture on the metallic cardstock is great, and yhour coloring is awesome! I would be very honored if I win this set! All of the cards made with it are wonderful. I love your sense of color and design. This is so beautiful. Your coloring is outstanding. Thank you so much for the opportunity to win this set. Great job. I love this stamp and the cards you have made with it. It is so rich in color. God has truly given you a gift. They are all just lovely like your latest one as well! I have always loved what you have done with this set!!! Today's project is no exception!! Your cards are fabulous, Dina! I would love to win this gorgeous set of stamps. You've done great work with this stamp set. I'm always amazed that you have/take time to do so with everything you have going on in your life. I just love this card... this set is among my favorites from ODB and ODBD is my favorite stamp co! I love that you can mix reinkers with the shimmerz... thanks for that tip! All your samples of this set are gorgeous!!! Wow...so beautiful! Thanks for sharing and for the blog candy opportunity. I didn't know that you can -mix Shimmerz with reinkers when you paint. I'll have to try that. Looking forward to a chance to win this blog candy!! I love your blog, you are so talented. Such inspiration!! I just found this company a few months ago, but I love the images and the sentiments that Kelly and her DT offer! It is so nice to find a company like hers! Your cards are BEAUTIFUL! Thankyou for the inspiration! This beautiful card is so inspirational and the verse is special to many of us. Looking forward to seeing more from such a caring company. Beautiful cards Dina. All of your work is exceptional. Would love to win the stamp set. This is such a gorgeous set- and I have to say it has been fun to follow your blog and see your cards made with all of these gorgeous sets! Please enter me to win. Thanks for inspiring me- I always love to read your blog postings and read about your worldly adventures and see your beautiful creations! I love this card. It is not easy to find sets that are based on scripture and I just love your creations. May you be blessed today with His love, peace and grace. Wow! Beautiful work and I am just loving these Scripture sets. I have so wanted more Scripture stamps and am just finding them--so thanks for being a part and sharing your lovely talent. Love the details on the stamps. You did a FANTASTIC job with the colors too! Thanks for the opportunity to win the set. Love your cards and I really love the Daily Bread Designs. They are so inspirational. Keep up the good work. I am always amazed at the talent I find when I blog hop. I recently came across ODBD stamps used on splitcoast cards and thought they only sold stamps, thank you for encouraging me to check out the website for all the other goodies they offer. Your creativity is a Blessing to all of us, thank you for the inspiration in your work.